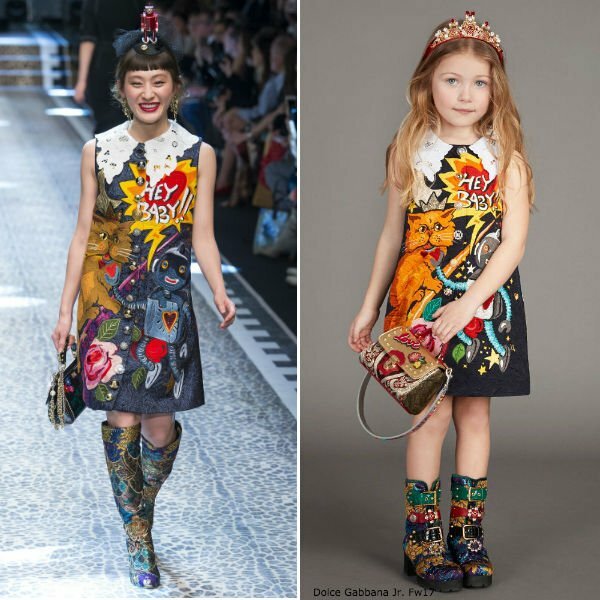 Love this DOLCE & GABBANA Girls Mini Me Space Love Dress, inspired by the Dolce & Gabbana Women's Fall Winter 2017-18 runway show. This mini-me Nuovo Rinascimento dress is taken from the designer's Space Love theme. Beautifully made in a rich navy blue jacquard fabric, this luxurious dress is further embellished to stunning effect with appliqué, crystals and a white broderie anglaise style collar. Complete the look with a matching Dolce & Gabbana shiny gold and red, leather and brocade LOVE handbag and colorful leather boots.